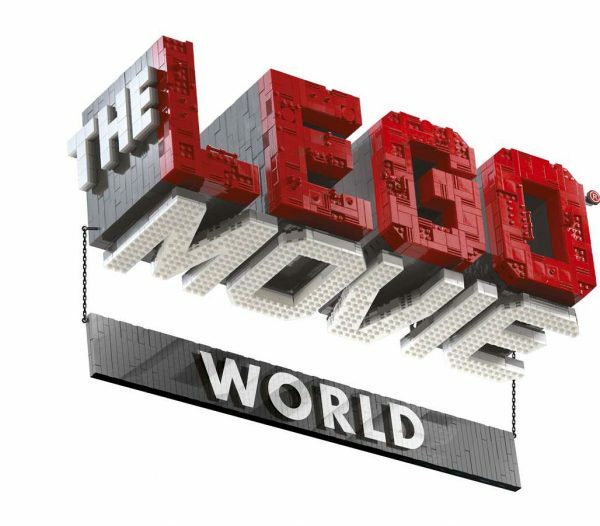 The Lego Movie World Opening March 27! 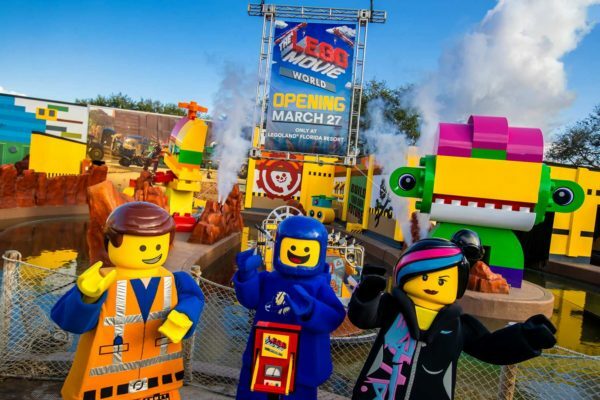 Legoland Florida announced today that the new “The Lego Movie World” land (which was announced last fall) will be opening at the resort on March 27.
experience,” said Keith Carr, project director of Merlin Magic Making. 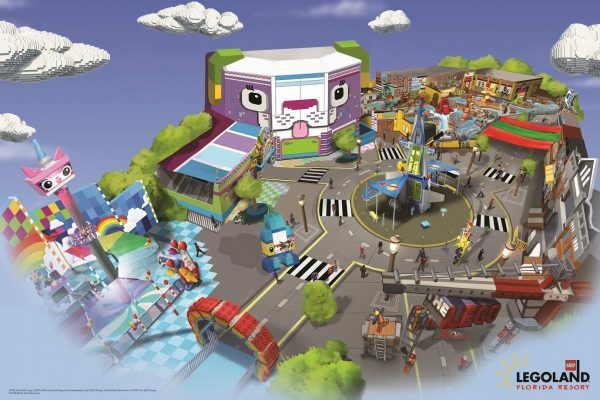 The Lego Movie World replaces the World of Chima land, and features three new rides along with other attractions. As with most Legoland attractions, the new rides will lean towards the kid-friendly end of the spectrum. The first new ride is the LEGO Movie Masters of Flight, a flying theater style ride. You board Emmet’s Triple Decker Couch surrounded by a full dome screen, and take off through different “Lego” locations. The park says the attraction will be the first in the world at a major theme park to embed a 180 degree turn in the experience. It will include plenty of characters from The Lego Movie, as well as at least one from The Lego Movie 2. 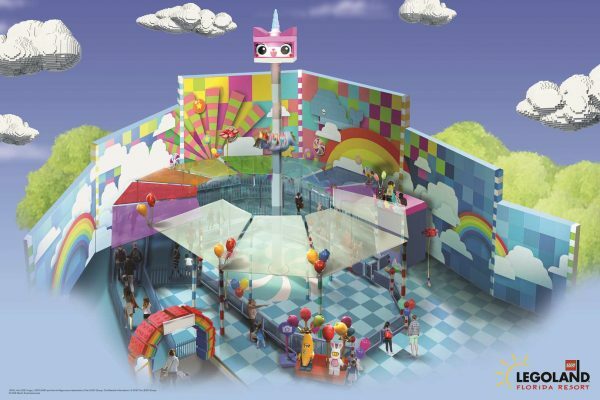 The second new ride is Unikitty’s Disco Drop, themed around the Lego Movie character. It is a childrens tower ride that takes you to the top of Cloud Cuckoo Land, then drops, spins, and bounces you back down to Earth. The Battle of Bricksburg ride. The main new restaurant in the land is, not surprisingly, a Taco Tuesday themed eatery (where you can eat tacos every day). A Lego space themed playground and store called “The Awesome Shop” will round out the attractions in the new park area. Lastly, the Legoland hotel will now feature The Lego Movie themed rooms. 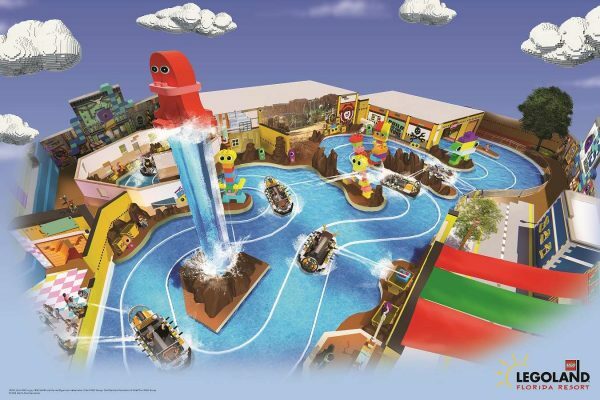 For more on what’s coming to Legoland, check out their website. And make sure to follow us on Twitter and Like us on Facebook to keep up to date with everything coming in 2019 (and lots more).